The US Navy (USN) Tarawa Class Amphibious Assault Ship USS TARAWA (LHA-1) pulls alongside the Royal Australian Navy (RAN) Durance Class (Underway Replenishment Tanker) (AORH) Her Majesty's Australian Ship (HMAS) SUCCESS (OR 304) to prepare for a replenishment at sea (RAS) in support of exercise Rim of the Pacific (RIMPAC) 2004. A Westland Sea King HAS 50/50A sits on the rear deck of the SUCCESS (Image US Navy). This paper explores the problem of ship integration in naval helicopters, with a specific focus on the problems inherent in operating helciopters from small ships, especially surface combatants. Specific limitations of the Australian MRH90 are explored, and a range of alternative integration solutions surveyed. Since the announcement of Government's intention to replace Navy’s six remaining Westland Sea Kings in 2010 with 46 NH Industries MRH90 helicopters, the ADF has designated the NH90 the Multi Role Helicopter or MRH90, industry has also raised the prospect of the MRH90 replacing the extant Sikorsky S-70B-2 Seahawk in about 2016. As far as this author is able to determine, Australia’s 46 MRH90 helicopters are intended to be in the Army configuration of the aircraft. This does not have the seagoing modifications of the maritime variant. The purpose-built naval NH90 variant is called the NATO Frigate Helicopter or NFH90. 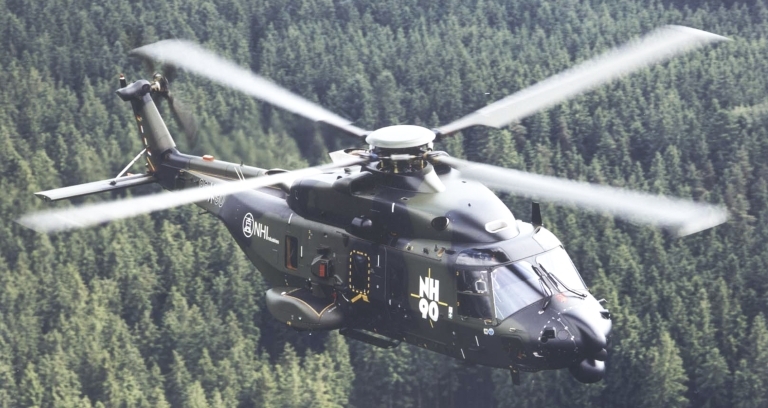 The main airframe differences between the NFH and NH90 includes the incorporation in the former of a securing system, a powered automatic main rotor blade folding system and floatation gear. In land based operations these systems present a usually unjustifiable and most significant weight and drag penalty. So the exclusion of navy modifications is understandable for terrestrial operations. But their absence “on the boat” presents a considerable vulnerability and safety risk. It is surprising that the ADF with its now considerable blue-water helicopter operating experience appears to be again going down the path toward embarking on to ships helicopters that are intended for land-based operations only. 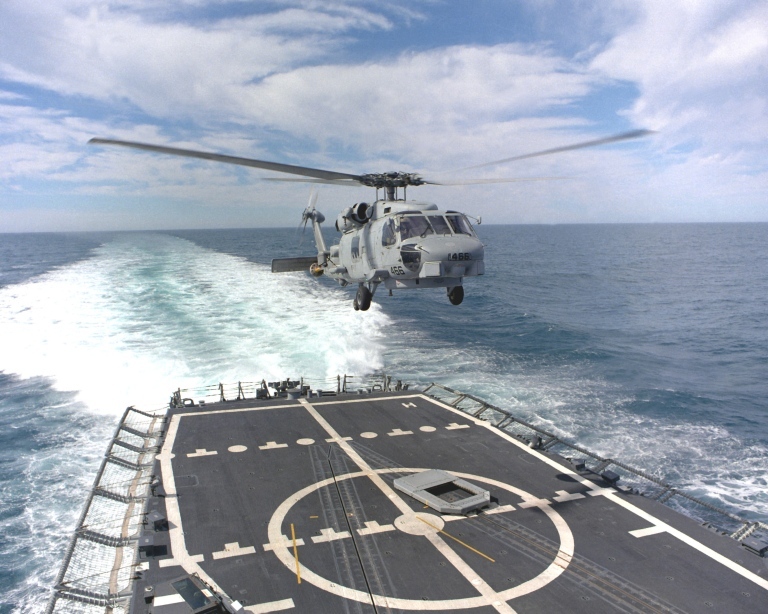 None of the other customers of the NH90, which is also designated in its Army configuration as the Tactical Troop Helicopter or TTH, are known to be planning to embark their NH90 in LPA-sized platforms such as Manoora and Kanimbla or in aviation capable frigates like the RAN's five Adelaide Class FFGs and eight ANZAC Class FFHs. The French have reportedly conducted an embarked trial of the NH90 with their Mistral Class Landing Platform Dock (LPD). This large platform is approximately three times the displacement of the RAN’s LPA and with the Spanish Navantia is a contender in the ADF’s Joint Project (JP2048) which intends to replace HMAS Tobruk and later the 2 LPAs in about 2012 -2014. But the LPD is essentially an aircraft carrier and as such is not considered a “small ship” in the context of helicopter operation, as would be the LPA and the RAN’s other air capable ships. The flight trial needed to clear a combination of helicopter and ship throughout the intended flight envelope has previously been a very lengthy process indeed and involves many weeks of very scarce ships’ time. 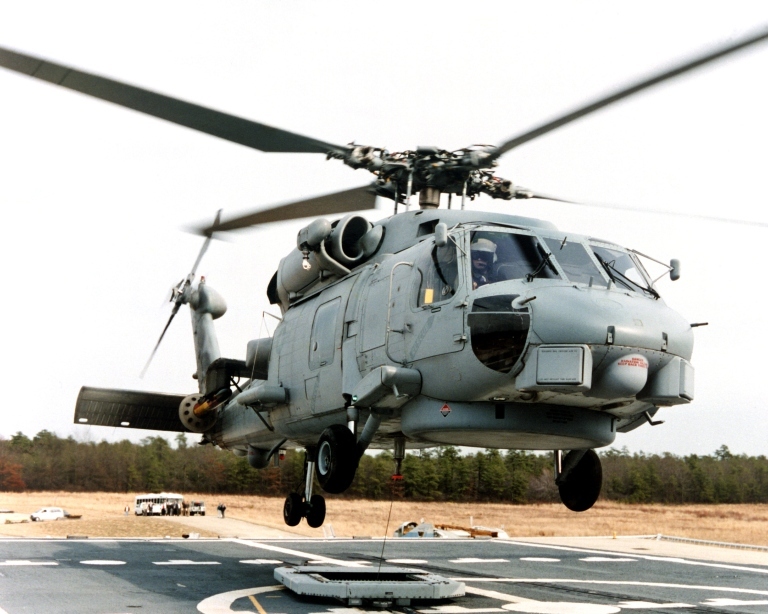 Traditionally, Navy rather than the OEM or prime contractor, has borne the risk that the eventual Ship Helicopter Operating Limit (SHOL) is less than that specified as necessary. A Royal Australian Navy (RAN) Visit, Board, Search, and Seizure (VBSS) Team conducts a fast rope exercise from a hovering RAN S-70B-2 Seahawk helicopter, onto the flight deck of the US Navy (USN) Dock Landing Ship USS HARPERS FERRY (LSD 49). The Seahawk employs the RAST system (Image US Navy). US Army UH-60A Blackhawk recovering on the USS Iwo Jima (LPH-2) in 1981 (US DoD Image). NFH-90 NATO Frigate Helicopter (Royal Netherlands Navy images). An Australian Army UH-60 Black Hawk helicopter from B Squadron, 5th Aviation Regiment practices touch and goes aboard the U.S. Navy Military Sealift Command Hospital Ship, the USNS MERCY (T-AH 19), off the coast of East Timor in 2006 (US Navy image). The operation of helicopters from small ships is very demanding and a high risk activity. Although the LPA’s now routinely embark Army’s Black Hawk helicopters, these are ordinarily operated in only calm conditions and sheltered waters. Embarked Blackhawk operation is not usually considered a blue-water capability. And the aircraft are not fitted with restraint, automatic blade folding or floatation systems. However Navy’s Seahawks and Sea Kings are fitted with automatic blade folding systems and floatation equipment. 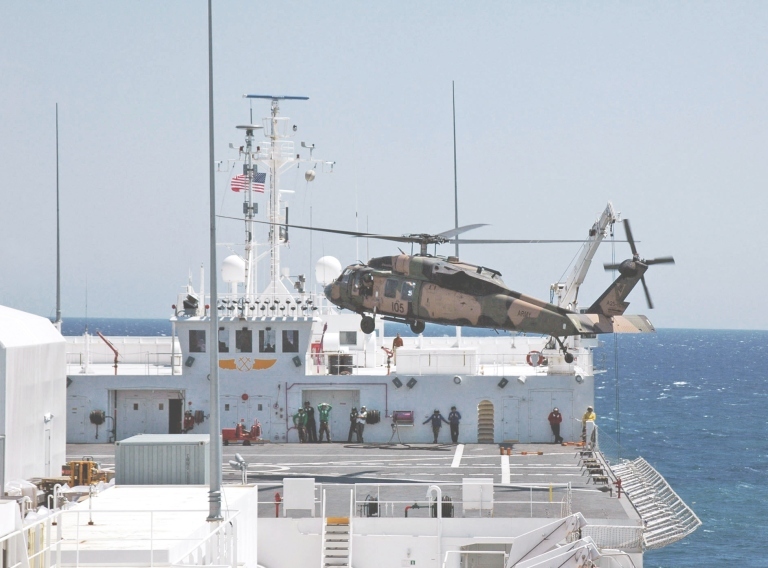 The Seahawk, which is routinely embarked in the FFG and FFH is also equipped to operate with the ship’s Curtis Wright (previously Indal Technologies Inc) Recovery Assist, Secure and Traverse (RAST) system. The RAST is attached to the landing helicopter prior to, during and after touchdown. The system securely holds the aircraft on the landing spot and enables it to be moved safely in and out of the hangar in most sea states. The powered blade folding system enables the rotor blades to be stowed without personnel being required as was previously the case, to work on safety critical flight controls some 4 to 5 meters above flight deck level, sometimes in darkness, exposed to unpredictable ship movement and continual wet from airborne salt sea spray. Some 200 RAST systems are in service world wide. The major users include USA, Japan, Taiwan, Canada and Australia. 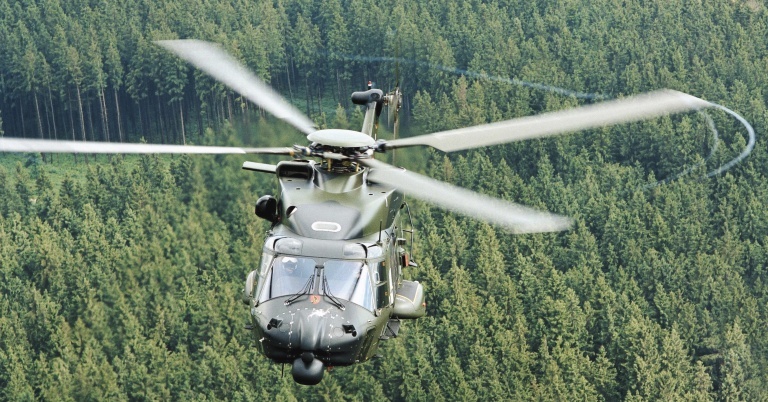 Neither the NH90 nor NFH 90 is known to be capable of operating with RAST. An SH-60B Seahawk helicopter assigned to the Naval Air Warfare Center Aircraft Division is hauled down to the Elevated Fixed Platform using the Recover Assist, Secure Traverse (RAST) system during Dynamic Interface testing (US Navy image). An SH-60B Sea Hawk helicopter takes off from the flight deck of the guided missile frigate USS DOYLE (FFG-39). 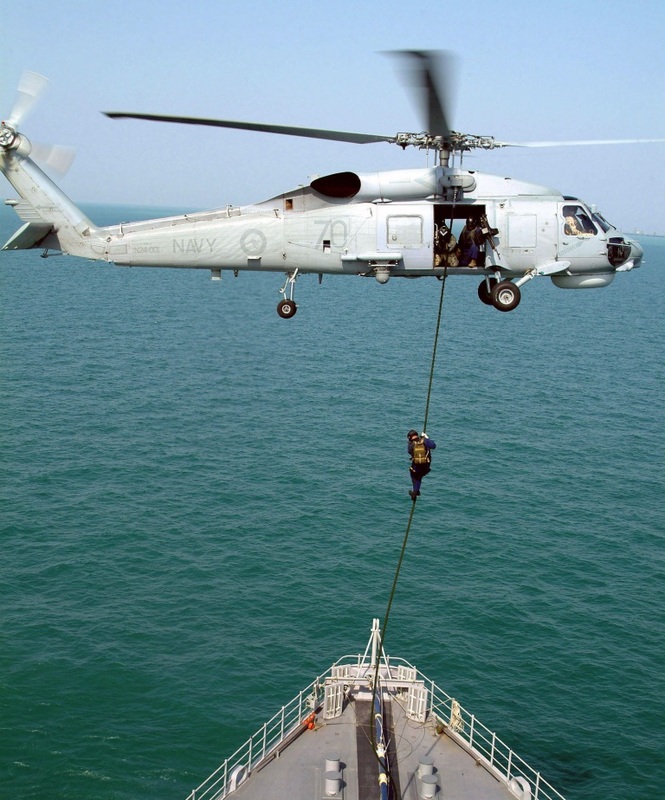 A carriage and tracks for the ship's recovery assistance, securing and traversing (RAST) system are on the deck below the helicopter (US Navy image). 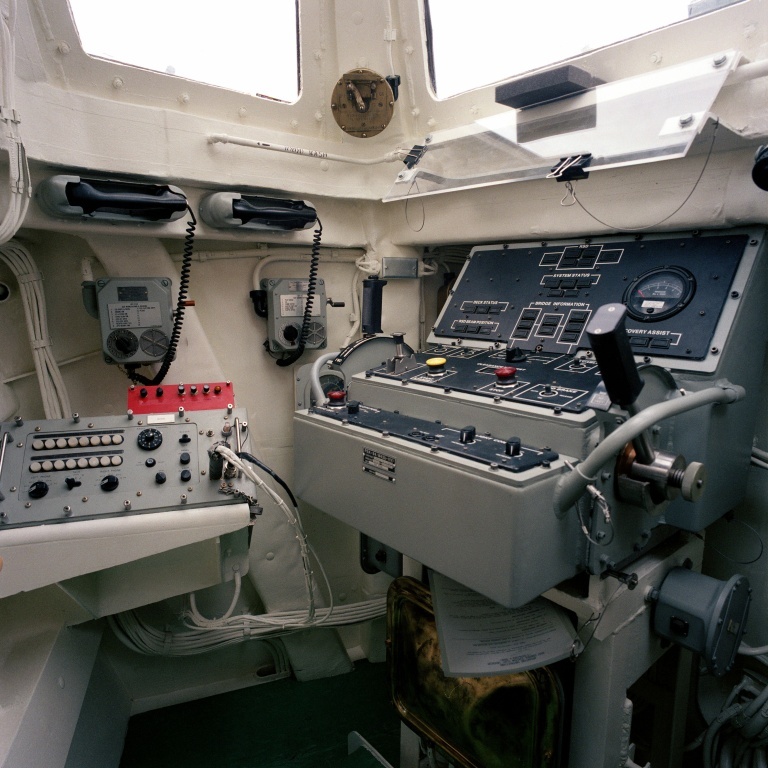 An interior view of the recover assist securing traversing (RAST) system control station aboard the guided missile frigate USS FORD (FFG 54) (US Navy image). In terms of operating capability and risk management, RAST is considered the world’s most capable ship/helicopter restraint and handling system for medium sized helicopters. But it requires heavy machinery including embedded rails, winches, wires and control systems to be “built into” the ship. It is not a system that can easily be retro-fitted. The RAN has wisely made the decision to fit RAST in all of its frigates. But the RAN’s other air capable ships are without any such system and for securing aircraft therefore rely upon personnel fitting chain lashings. Aircraft movement remains an essentially “man-draulic” operation and depends upon a large number of personnel carefully manoeuvring the aircraft around the flight deck. Relative to a RAST fitted ship, flight deck operations on a non-RAST ship present a high level of largely unmitigated safety risk to the flight deck personnel and a high risk of damage to the helicopter as a 10 tonne aircraft - the approximate weight of a Seahawk, Sea King or NH90 - is difficult to safely restrain and move on a pitching and rolling flight deck. Often the heading and speed of the ship is constrained to those conditions that provide the least deck movement - the deck motion limits for safe manual aircraft movement are very small indeed - and relative wind. But the required heading and speed is often not that required for the ship’s mission. And no Commanding Officer likes to have his/her freedom of manoeuvre restricted or to be exposed to increased risk of air or subsurface attack for periods of about 30-45 minutes that “spotting” (moving the aircraft from the hangar to the landing/takeoff position) or stowing the aircraft in its hangar, requires to complete. Many embarked aircraft have been damaged and flight deck personnel injured by too hasty or violent ship manoeuvring during helicopter operations. In Australian waters the most frequently occurring sea-state is 4 (ie Moderate with wave heights of 1.25 to 2.5 metres) or above. As an approximation, Sea state 4 can routinely produce LPA ship motion of greater than 10 degree roll. This is usually the limit for take and landing. But the limit is much less for moving the aircraft manually around the flight-deck and for folding and spreading main rotors or tail pylon. Safe restraint of the helicopter beyond the take-off and landing roll limit for a non-RAST ship is critically dependant upon manually fitted chains. Flight deck personnel are again exposed to a high safety risk moving around operating aircraft in usually wet and dynamic conditions when of necessity, flight deck safety guard rails are also lowered to provide additional physical clearance for the helicopter’s flight. The alternate restraint and traversing system, and that which is usually fitted to the NFH90, is based on an hydraulically operated probe and deck-mounted grid which secures the aircraft before its takeoff and after landing. The traversing operation is performed by a separate subsystem. And several optional products are available. The Royal Navy uses the probe, grid and a system of cables and winches to secure and move embarked aircraft. DCN International of France markets a probe, grid and a rail mounted traversing system. Manufacturers are understood to include Claverham of the UK for the probe, RDM of the Netherlands for the grid, MBB and McTaggart Scott for the traversing system. The probe and grid system is fitted to approximately 350 ships worldwide and it is usually a less costly but also a less capable system than RAST. Aircraft fitted for operation to probe and grid systems cannot operate to RAST or vice versa. Some helicopters such as the Westland Lynx are optimised for operations to a flight deck and include specialised undercarriage and negative main rotor thrust. Both of these features tend to reduce an aircraft’s need for immediate and positive securing. Curtis Wright also markets an embarked helicopter securing and traversing system called ASIST (Aircraft Ship Integrated Secure and Traverse). The system provides a similar operating capability as RAST but without the haul-down cable. 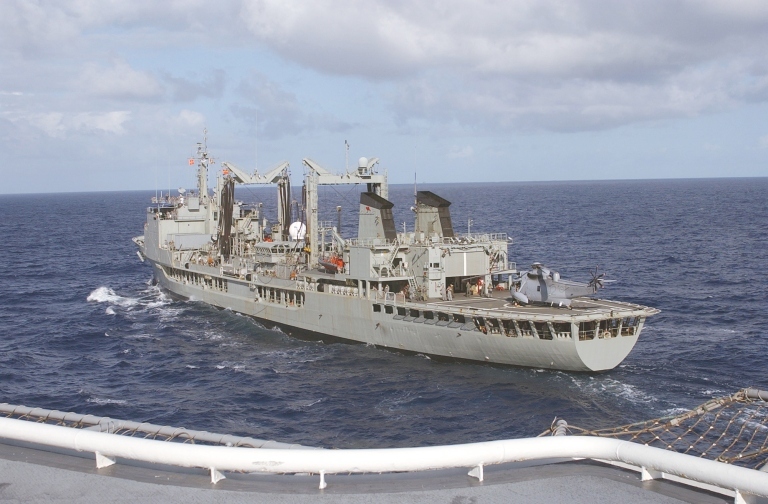 ASIST has been retrofitted to both FFG and MEKO (ANZAC) design frigates. About 35 ASIST systems have been have purchased since 1995. Both The Italian and German navies are understood to be fitting ASIST to their NFH90 and their parent ships. But the certification status of ASIST is not known. Maybe this is a less costly option than RAST. Very important ship and aircraft modification may be required if the ADF is to embark the MRH90. Will the RAN modify its MRH90 for RAST? Or will its RAST fitted ships be modified for probe and grid and a wire-based traversing or some other system? Both questions could drive procurement risk and therefore costs and schedule down the familiar path followed by the RAN’s previous aviation projects. Both possibilities have the potential to affect the RAN’s ability to operate with the USN. The clearance of a particular aircraft in terms of the ability of its structure to sustain the often severe loadings imposed by embarked operation usually depends upon an evaluation of factors including the host ship’s movement characteristics and the loadings imposed by the fitted restraint and traversing systems. Even the position of flight deck and hangar securing points can make a critical difference to aircraft certification and its embarked fatigue life. 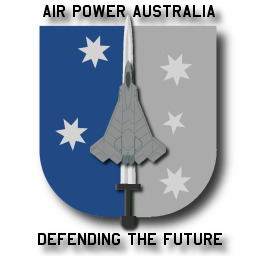 The ADF has traditionally taken a conservative approach to this matter. Therefore the potential for delay in the certification of the MRH90 for embarkation is seen as a hazard. 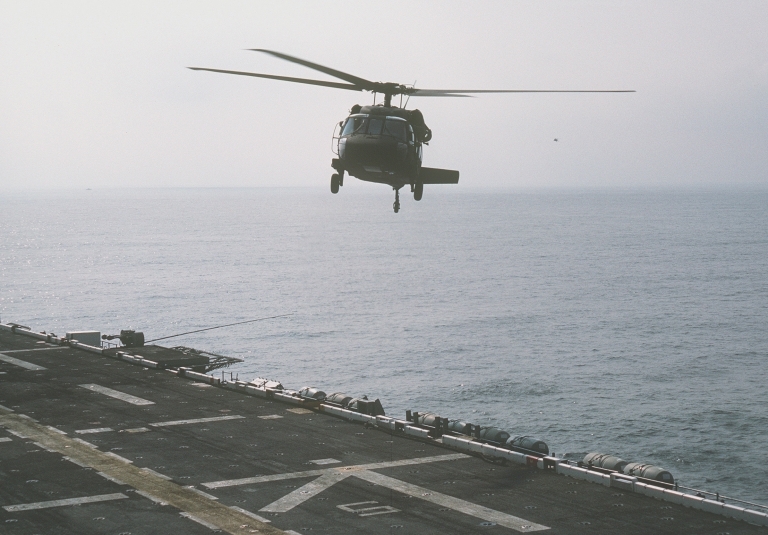 Manually folding a medium sized helicopter on a moving flight-deck is an operation which for most navies including the RAN, has presented an unacceptable safety risk for about 20 years. Therefore the ADF’s Seahawk and Sea King have powered folding systems. The breaking and remaking of primary flying controls and surfaces required by the folding and spreading evolutions requires absolute precision and the manipulation of delicate and safety-critical components. Damage caused by manual mishandling or dysfunction may not always be evident to a visual inspection. The manual fold and spread method apparently conceived for the MRH90 is assessed as likely to impose severe operating constraints and a high risk of damage and injury. It is not clear how that risk can be effectively mitigated other than by not undertaking the evolution. The operation of the MRH90 without floatation equipment will mean, as it presently does for the Blackhawk, that the aircraft will sink when it, for whatever reason, enters the water. The aircraft’s inability to float obviously presents a very considerable safety risk to incapacitated aircrew or passengers because they may be unable to escape. The cause of the ditching may also be lost to further investigation. It is unclear how these risks are intended to be mitigated. Modular floatation gear may be available for the MRH 90. But the ability of this to sustain the aircraft on the surface, in an upright attitude and in typical sea states is not known. All of these factors may be under effective consideration by the MRH90 procurement project. But no discussion about the ship integration features needed to embark MRH90 has been seen. What is the MRH 90’s embarked concept of operation? What classes of ship is the MRH 90 formally cleared to operate to and be embarked in? Are powered blade folding/spreading, floatation equipment and a securing and traversing system intended to be fitted to the MRH 90 for its embarked service? What operating envelopes are required to be provided by these systems? What is the duration of First of Class Flight Trials scheduled for each of the ship classes intended to operate the MRH 90? And, what operating envelope in terms of ship motion and relative wind is sought in each case? Is it intended that the MRH 90 be modified to operate with the RAST systems fitted to our FFG’s, Anzacs and USN air capable ships? 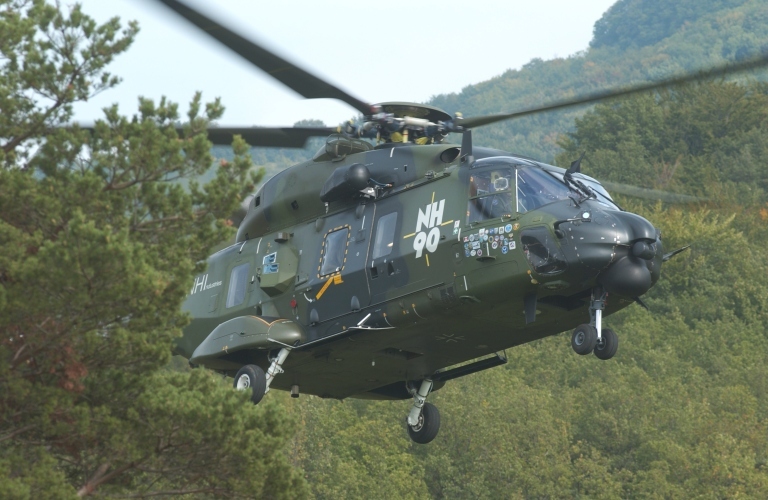 What is the commonality between NFH and MRH 90? What formal responsibility does the prime contractor have for the embarked Ship Helicopter Operating Limit (SHOL) and airframe certification achieved by the MRH 90?